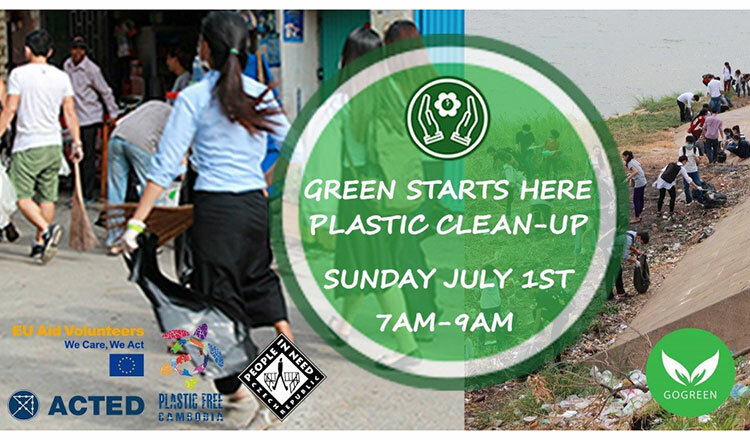 To raise awareness of the bad effects of plastic pollution and motivate citizens to adopt environmental solutions for free plastic, the Green Starts Here campaign invites all people to join a two-hour street clean-up activity picking up plastics along the street on Sunday morning at Boeung Keng Kang 1 (BKK1). 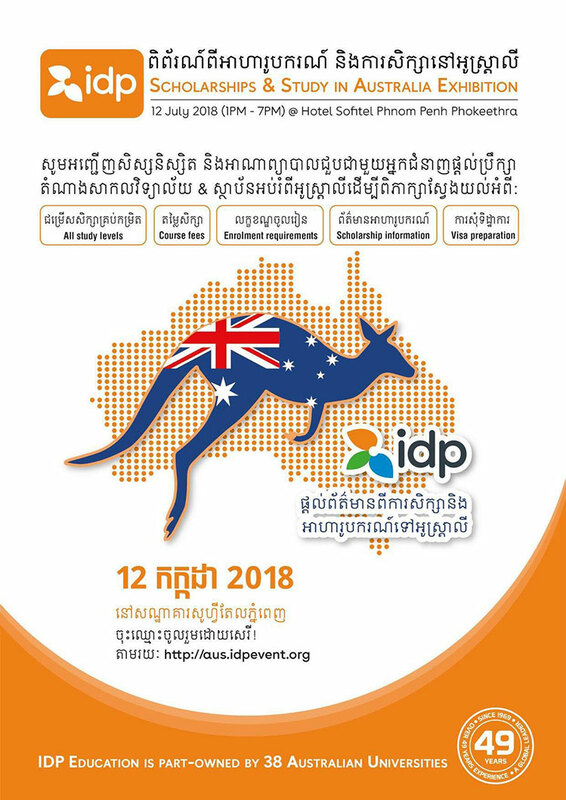 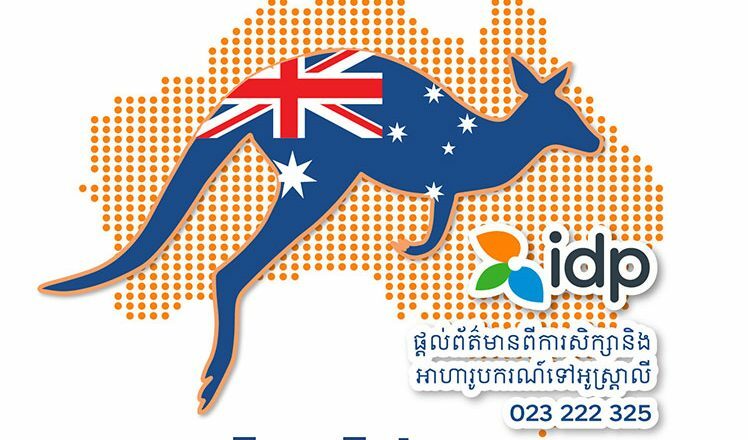 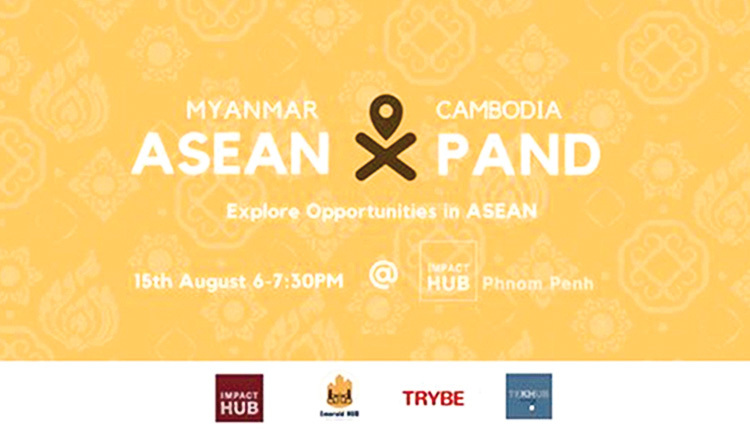 IDP Cambodia will host Scholarships & Study in Australia Exhibition on July 12 starting from 1 pm to 7 pm at Sofitel Phnom Penh Phokeethra, providing an open space for students and their parents to meet with the experts who can give details on how to study or get scholarships in Australia. 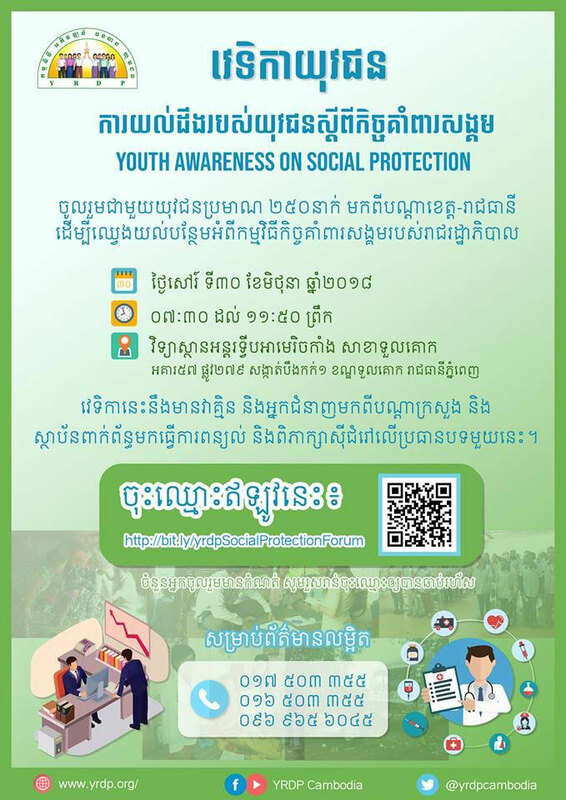 Youth Resource Development Programme (YRDP) is organising a forum to gain youth awareness on social protection, providing them crucial information and knowledge on how it relates to citizens’ livelihood, national policy, youth in job market and other risks that people face. 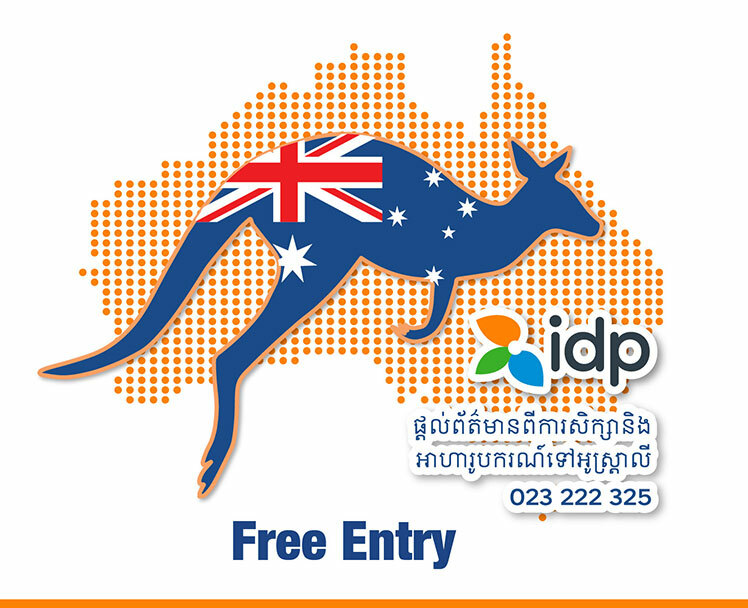 It is open to the public especially youth from all areas.